I just installed the new Crimson Software, but was met with this annoying error everytime I restart my computer or shut it down. I have uninstalled previous versions before the install, and have even used a driver uninstaller as well, but the error still shows up. If I open the Crimson interfave, and never go to additional settings (which opens up the old Catalyst-style settings), I do not get the error. Of course I can't Debug it, as the computer is in the middle of restarting. The error doesn't show up in ay other place for me so far. It seemed like some sort of uninstaller error, so I used DDU to wipe all drivers, but on fresh install, this error still shows. 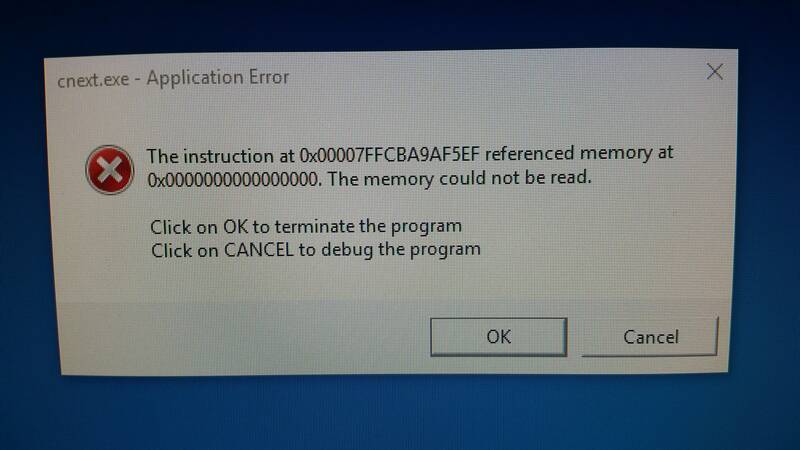 I'm not sure what it's trying to tell me, but I'm sure this error is a result of the software or installer, not my computer, as I have taken all precautions possible to get a fresh install. I would love to know if anyone else has seen this error, or if you have an insight or solution to this issue. Bring this error to the attention of the developers, so it can be patched.